So it begins again, that little dance the Union seem to do each year. Just to reset for a moment, last year, the Union were winless through March and April (albeit, with a few quality ties mixed in there), before ripping off 4 straight wins in the month of May. Were they for real? Had they turned the corner after a string of convincing victories? It turns out that they couldn’t quite dig themselves out of the early season hole, ending in an 8th place finish, no playoffs, and possibly the peak point (so far) of fan apathy. 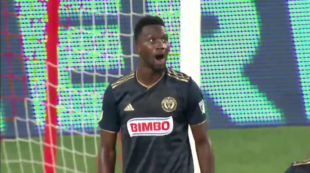 In 2018, the Union did notch that first ‘W’ immediately, with a comfortable home opener victory over a Revolution squad playing with 10 for much of the match, and 9 for the last few minutes. From there though, the descent into a more familiar neighborhood in the Eastern Conference standings began. So what do we make of the latest little streak, with two confident victories over a poor team and middling team, and a somewhat dominant effort at NYRB that resulted in a road point? Matthew Doyle even dedicated some extra time and space to the U this week in his column earlier this week, pointing out their recent run of form. What’s a long-time, mostly suffering fan to do? Are these recent developments a sign of better things to come, or a tease that will ultimately end in frustration and staring at my “re-doop” emails pondering my next move? The defense took a few knocks earlier in the season, with Toronto and Dallas coming to mind. But the back four look like a real strength now. Rosenberry looks to be in 2016 form, as an active contributor on offense and much more sound on defense. The young centerback pairing appear to be more than ready, and are fresh off of locking down one of the top offensive pairings in the league. These guys exude a confidence and maturity that make me hopeful we have the position solved for many years to come. And Ray Gaddis seems rejuvenated at LB. I don’t recall Ray ever getting this involved in the attack, and certainly hasn’t looked this comfortable doing it in the past. Giving up 15 goals in 12 games puts the team pretty squarely among the top teams as far as goals against. The midfield trio appears to be rounding into form. Bedoya covers plenty of ground, does glue-guy things, adds a little bite, makes dangerous late runs into the box, and brings all around intelligent movement. Dockal, after a very quiet start, has been highly active and dangerous these last few weeks. And while I don’t think he’s at his best just yet, I could happily watch Medunjanin make those long arching passes to runners all day long. Even stylistically, the Union seem to be showing a bit better. We’re no longer a given to lose the possession battle each week, and actually sit among the top 10 possession teams at this point in the season! The team has improved at creating attacking chances – our shots and shots on goal numbers are right there with Atlanta, as one surprising benchmark. The 2018 Union are stronger in possession than previous editions, and certainly are creating more chances, but still only have 12 goals to show for it after 12 games played. Seven of those goals came in two games (DC United & Real Salt Lake), which makes sense, when you note that we’ve been shut out in 7 games as well. This current roster clearly lacks scoring punch, and could really use some help there if we’re to make a playoff run. The attacking players have mostly struggled. I have tremendous respect and admiration for CJ Sapong, the effort he gives, the pounding he takes, and the results he put up for this team last year. That said, it’s hard to watch him struggle this year, and a little rest hopefully would recharge him. Without him clicking on all cylinders, I’m not sure where the goals are coming from. Wing play has been inconsistent and frustrating for much of the season too. Accam hasn’t gotten it going yet, Herbers doesn’t seem to be healthy enough or consistent enough to match his early promise, and Ilsinsho appears to be most dangerous when used for shorter appearances. On a positive note, Picault’s return to the starting lineup after missing the first few games has added plenty of life, and Marcus Epps has been surprisingly effective in a starting role these last few weeks. And where’s our depth? Solid options exist behind our defensive starters, including CBs who at one point were strong contributors as starters themselves. But where does Jim Curtin turn for an offensive spark? Corey Burke is an intriguing player thus far, but where else do you turn right now when the Union really need to push for a goal? Are there reasons to get excited, or at least be curious? Or are we beginning that familiar dance that gets us wondering if the Union might be a good team, but afraid of being let down again. The fact that the recent positive stretch is built on a foundation of sound defense from a very young defensive core gives me hope. The fact that we only have 12 goals to our name, and any improvement there is largely tied to waiting and hoping that Sapong and Accam discover their magic from prior seasons is concerning. It’s especially concerning since we don’t seem to have alternatives to turn to and buy a little patience in the meantime. Place me firmly in the camp where I’m happy to see some young, foundational pieces really step up, but fearful that we still just don’t have enough firepower to really compete this season. Buy into Union excitement? Surely a poor decision. Will I? You’re damn right, I will. This thing I’m most passionate about has me on roller coaster of hope and despair eight months out of the year. What would I do without it? We’ve come out of an early troth and are ascending the hill that never lasts very long. Soon we’ll crest and fly downwards – buckle up! 5) Miss the playoffs but congratulate themselves on a hard fought battle. So in essences like the last 8 seasons. yup. this got old when i made the decision not to renew years ago. it’s now become so predictable that i enjoy the good run but don’t buy into the glimmer of lasting success. As has been the case for pretty much the Union’s entire existence, they do not have a consistent scorer. Should they add one, I think they are solidly a playoff team. If not, fighting for the 6 spot if things go right. The goals are going to come from Burke and Dockal, with the wings adding some as well. Burke so far has a 0.71 goal/90. Now I expect that to drop a little, but that’s still really good, and Dockal’s will probably increase since he’s turning it on. We have 4 capable wingers that we can rotate. We have been creating pretty good chances and probably should have at least 5 more goals this season already. Dockal definitely has me feeling a bit better, and you’re probably right about mixing and matching the other attackers. It’s just frustrating that we don’t have a BWP, or even a Wondo type you can consistently count on to score. Totally agree. It’s something we have never had on this team. Maybe someday. For now Burke is looking like he might have it in him, although a notch below the guys you listed. His movement and desire is just better than Sapong.